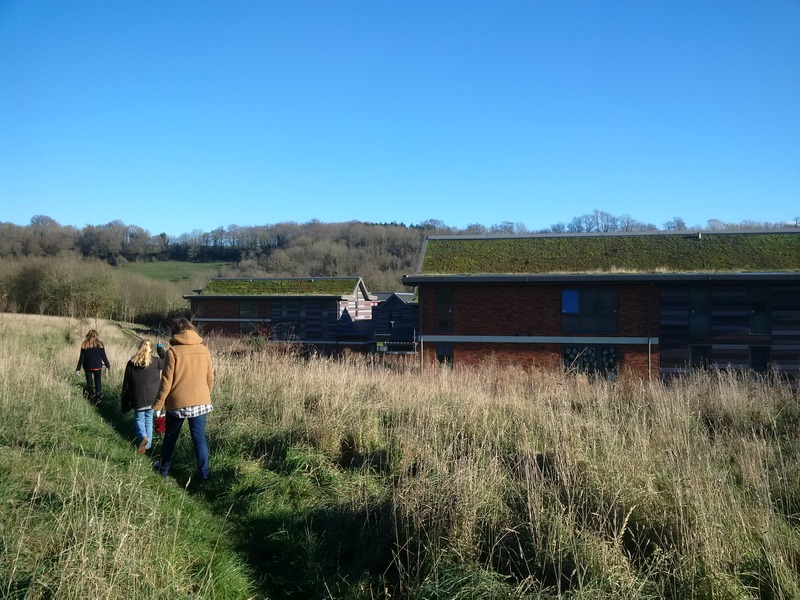 We walked round the back of Stanmer Park today, to see the green roofs at Northfield, the campus extension of Sussex University. Built between 2010 and 2013, the campus features a wide range of features to minimise its environmental impact and running costs. It’s location was controversial – north of the main campus, on farmland, and tucked right up against the South Downs National Park, a Local Nature Reserve and a Site of Nature Conservation Importance – so it particularly needed to blend in and demonstrate a sustainability ethos. “The complex has 272 secure bicycle parking spots (one for every three residents) and eight car parking spaces, four of which are for wheelchair users. The development won a Green Apple Sustainability Award, and received a Breeam Excellent rating. However, there are problems with the green roofs, which are unusual in being pitched. They look like they are struggling and dying in places. Although the green roofs certainly do help the development blend into the surrounding countryside, it seems like the fears about the longevity of the Sedum have been realised. Elsewhere in Brighton & Hove failing green roofs have been successfully refurbished. For example, green roofs have been part of the University of Brighton campus for some time. At the Checkland Building, green roofs have recently been restored following some initial problems with the planting and the limited amount of growing medium installed. 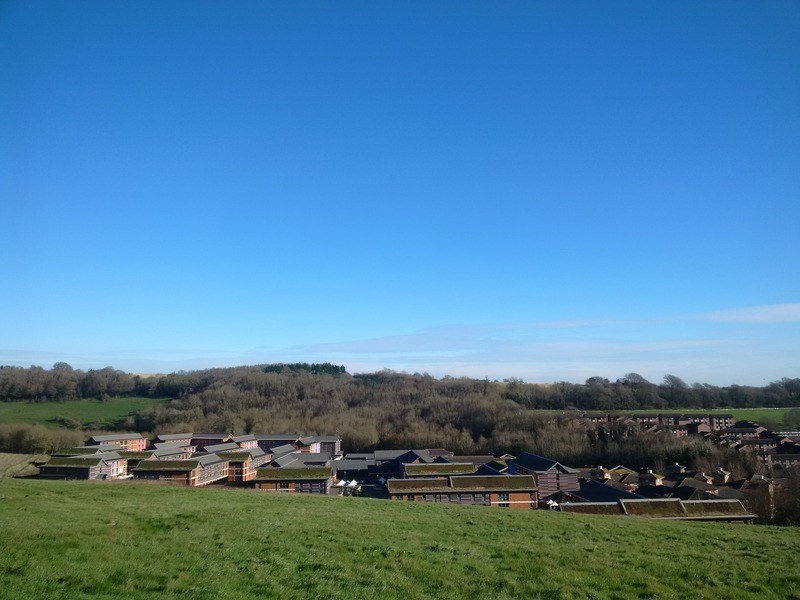 The Huxley Building and Falmer Sports Centres also have green roofs – these have suffered similar problems to Checkland and have had to be refurbished. Organic Roofs have the contract for this work, and have refurbished the landmark Velo Cafe green roof at the Level in Brighton, which is now thriving.